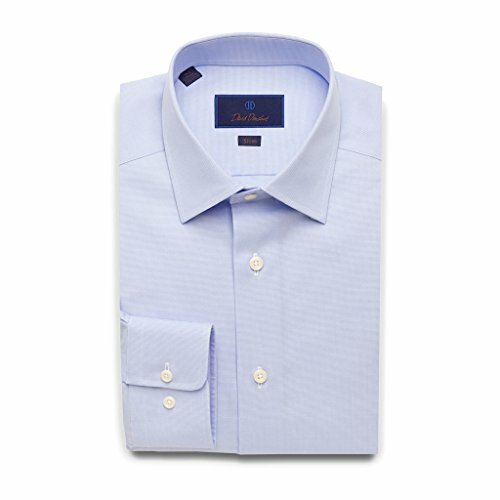 Looking dapper is as easy as a David Donahue dress shirt, where luxury meets comfort at an affordable price. This slim fit dress shirt is constructed from the finest durable cotton, and features barrel cuffing, french plackets and side back pleating. David Donahue is a promise to long lasting elevated menswear.